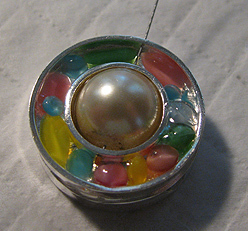 What many folks do is use the beading wire to run more beads through the open channel, but I decided to use some acrylic "gems" instead and suspend them in resin. You can see that the beading wire is still sticking out from the top hole, so all I have to do now is create a seed bead bail, string a long lariet-style necklace, string up a bracelet, or whatever else I want! You can find the complete line of Katiedids wherever Beadalon products are sold. 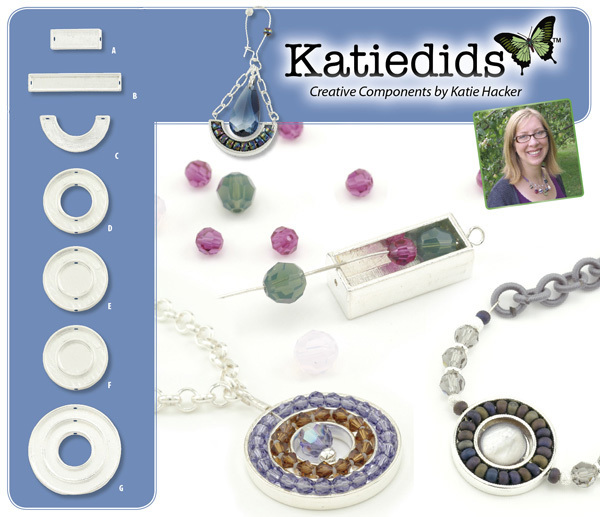 As regards FTC disclosure guidelines: I have received one package of Katiedids free of charge from Beadalon in order to write a review and/or create a project free of charge for you. I have not been paid for my endorsement as it pertains to the products received. I can't stop thinking. 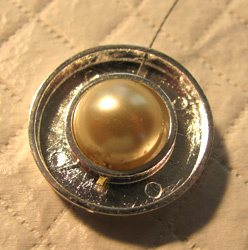 In your place I should use a headpin and just at the glas pearl only and the top two holes, so as an extra the glas bead can bangle out of the open katiedid and you don't have the crimpbead at sight at all. Just my two cents, greatings, Patty.